MANHATTAN — Actors living near the Second Avenue subway construction, here’s your shot: The MTA issued a casting call on Thursday, seeking one male and one female from the community to narrate an exhibit for the forthcoming Community Information Center. The new center on Second Avenue near East 86th Street — the exact location and expected completion of which has not yet been announced — will include a multi-media exhibit on the history of the Second Avenue Subway with short videos narrated by someone who lives or works between First and Third avenues from East 63rd to 105th streets, according to the MTA. 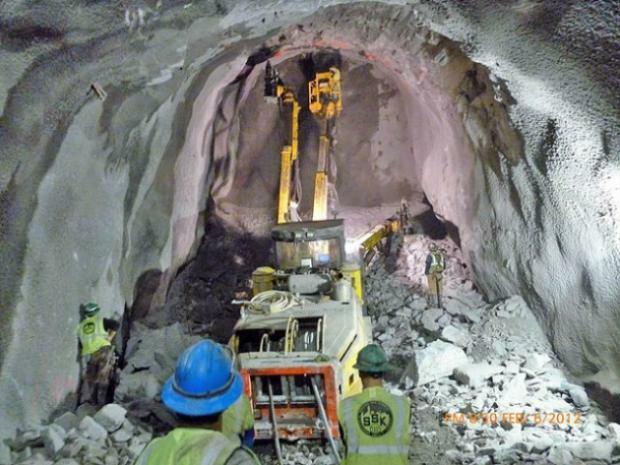 The facility “aims to foster and encourage a continued exchange among neighbors and the [Second Avenue Subway] team regarding the construction,” MTA officials said. It will also provide a space for the public to meet with liaisons and construction-related matters. Just what will the voiceover entail? It won’t likely address some of the recent problems such as the East 72nd Street blast that shattered windows and shot debris into the air after contractors did not follow approved blast plans. Instead it will take a longer view of the project. “It’s 1922,” the audition script reads, “subway cars and stations are overcrowded and two privately owned subway systems are struggling to fulfill the demand for rapid transit. Auditions can be submitted by email or phone until Oct. 22. Whoever is selected after two rounds of auditions must provide proof of residency (such as a license or a utility bill) or proof of local employment (such as a paystub from Second Avenue area business). Narrators will not be paid or compensated, MTA officials said. For instructions on how to submit your audition recording visit: www.mta.info/capconstr/sas/ under Project News.